When DCI Banks and his team are called to investigate the theft of a tractor from a North Yorkshire village, they're far from enthusiastic about what seems to be a simple case of rural crime. Then a blood stain is found in an abandoned hangar, two main suspects vanish without a trace, and events take a darkly sinister turn. As each lead does little to unravel the mystery, Banks feels like the case is coming to a dead end. Until a road accident reveals some alarming evidence, which throws the investigation to a frightening new level. Someone is trying to cover their tracks - someone with very deadly intent . 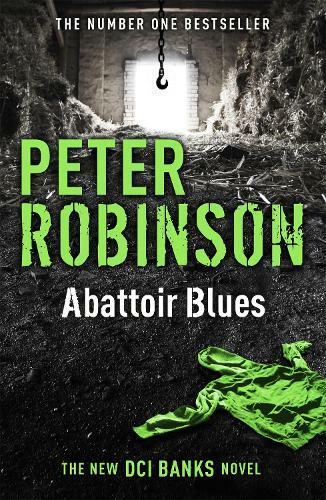 . .
British by birth, crime novelist Peter Robinson moved to Canada after university and now divides his time between his home county of Yorkshire and Toronto. His first novel, Gallows View, introduced his iconic series lead Detective Chief Inspector Alan Banks and became the first novel in an enduringly popular series. Now running to more than 20 novels, the series - which celebrated its 30th anniversary in 2017 – has also inspired a popular television adaptation, DCI Banks, starring Stephen Tomkinson. DCI Banks is a great character and the description of the area he lives in is fantastic. This series of books never fails to deliver. If you haven't read any yet, start at the beginning and enjoy them all.